Home » Nova Rockafeller » Nova Rockafeller: Chest Rockwell presents N.O.V.A. 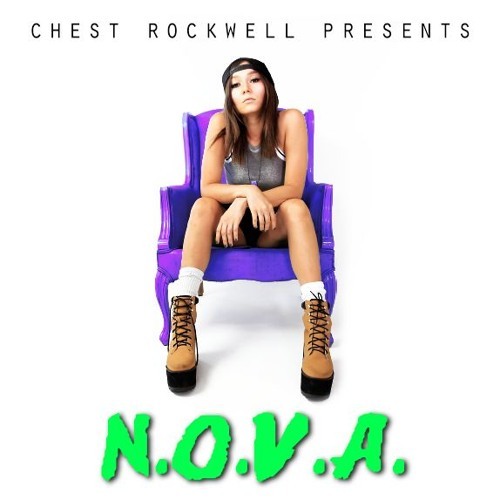 Nova Rockafeller: Chest Rockwell presents N.O.V.A. I like Nova. She's dope. Don't let the cuteness and free spirit fool you into thinking she can't spit and pen a solid song (forreal, Check the honesty in track 2). She's ill. This project has some pretty slick features on it, too so grab a drink, put your phone on silent, and press play.